The GS layout worked perfectly at one GS and not so much at another (two boxes were switched around). Both were fresh cases, never been touched. The employees at both locations were shocked I asked for them because they just unpacked them. Thanks to everyone posting layouts, they help a lot! Got my gold armored Batman, which is the GS exclusive I wanted the most. Now to find a Walmart that has them in. The hunt continues. Desperately want: Flashpoint Batman, SDCC Blue Batman. MyLittleFunkos wrote: Maybe your GS did what my local one did...It was a brand new box and the worker told me she intentionally switched them all around. I was a bit shocked by it, considering not too many people actually buy Funko stuff in the area, let alone minis. I asked her for her reasoning and she said so it's "a game of eenie meenie miney mo." I would have purchased a few Pops and a few minis from that location but not after she gave me that response. Especially because she said it so arrogantly. Luckily, I drove to one further away and they had a fresh case and I got the ones I wanted. Maybe, but i actually struck out again at a different GS this morning the same way. 'It's a new case that no one has touched' I was told. It seems that he meant customers because I didn't catch that they all had store price stickers on them meaning they were shuffled. I have to wonder if that was the case yesterday (I didn't think to check). So, word of warning; if the complete case you're picking from has stickers, expect random packing. I found a full case at Walmart today, got Green Superman and Blue Aquaman, then decided might as well get the other exclusives since it's so easy, so I got the other 2 and went to Gamestop and got Unmasked Batman to complete my set of exclusives. XD I haven't decided if I'm gonna get a case of the regulars to complete the full set or not, but knowing me, I probably will. Does anyone have a layout for a normal case? Trying to find the figures that get pulled for the exclusives, and my HT just got a case in yesterday. RogueSolo wrote: Does anyone have a layout for a normal case? Trying to find the figures that get pulled for the exclusives, and my HT just got a case in yesterday. Front Left was Angry Wonder Woman without sword. That was all for my pity purchase today! GameStop had a picked over case, all of the spots for the exclusives were gone. GameStop employee claimed that the guy who purchased them did not get the Gold Batman, but I wasn't feeling particularly lucky at that point. Might go back if tomorrow's riskier. Bottow layer, back right is regular Aquaman. I was able to watch an unboxing video on youtube, only thing was they only opened the top layer. Using that, I was able to grab Knightmare Batman. I also pulled from bottom middle right and got Superman. Finally my Walmart put out a case and 1 was gone by the time I got there, front left Batman goggles exclusive. I used the case map to get the other 3 exclusives and grabbed a Wonder Woman because I love the sculpt. I havent opened my Toy Wars BvS case that came in a couple days ago yet, I like to slowly savor on weekends. The good news is I can pretty much rest easy on Minis until Anime 2 hits. If anyone can help me with 2 of the Walmart exclusives it would be greatly appreciated. Looking for the exclusive Aquaman and Knighmare Batman googles up. Only 2 exclusives I need, besides normal hovering Superman. Which I don't see a point in trying to get since I have red eyes hovering superman. Thanks in advance! RedPats wrote: If anyone can help me with 2 of the Walmart exclusives it would be greatly appreciated. Looking for the exclusive Aquaman and Knighmare Batman googles up. Only 2 exclusives I need, besides normal hovering Superman. Which I don't see a point in trying to get since I have red eyes hovering superman. Thanks in advance! Goggles up is the normal figure, goggles down is the W*M exclusive. I'm assuming you want goggles down? Yes! My mistake . Honestly want both, but prefer to get the exclusive first. Finally found these at GS and the case had been messed with. Took a chance on a chase anyway and got reg Bats. I wanted him so no worries. Walked into a full case at GameStop. The map worked to perfection. The red eyed Supes has a metallic suit also, really cool piece. The regular hovering superman is actually a darker red then the red eyes superman so they look nice next to each other this is coming from a batman fan who doesn't really care about supes at all. Those of you who have found these in WM's, are you seeing them up front in the trading card area? I've seen them in the toy aisle and the end cap with the BvS stuff. treswright wrote: Those of you who have found these in WM's, are you seeing them up front in the trading card area? I found mine next to the pop 2 pack in the toy section. I just posted in the WTB section but if anyone has any series 1 DC minis they're looking to buy/trade I'm looking for some. Any help would be appreciated. Thanks. RogueSolo wrote: I was able to watch an unboxing video on youtube, only thing was they only opened the top layer. Using that, I was able to grab Knightmare Batman. I also pulled from bottom middle right and got Superman. From the regular retail case? Which spot is KM BM in? 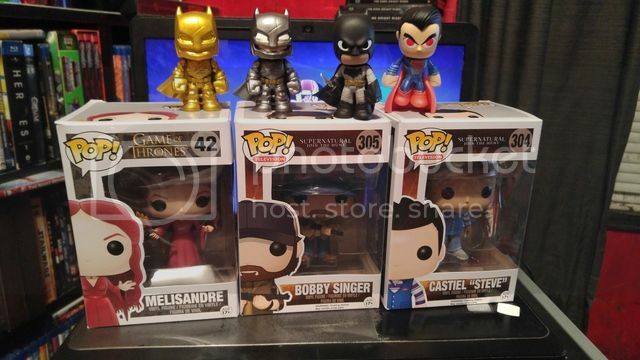 The Bobby and Cas are for my nephews birthday, the Melisandre and regular Bats is for myself, and the other three minis are up for trade if anyone needs them. Neat-O, Billy! 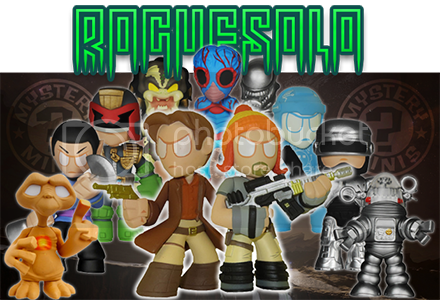 Does anyone have a UPC or item ID for the Walmart minis? Thanks! My Wal-Mart put out the BvS minis back in toys whereas all the previous Minis had been up front with the ballcards. 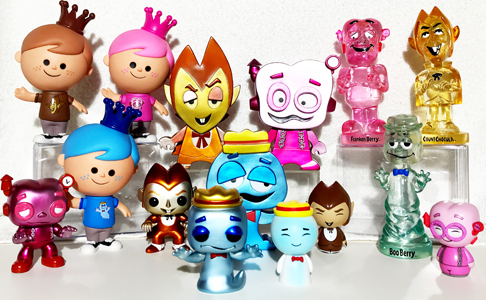 Maybe just because of the type of set but I have a feeling they are going to start keeping Funko stuff in the toy section now. So is Wonder Woman in her ( party? Undercover? ) outfit a Hottopic exclusive or something? I used the GS Layout tonight on a case in Hottopic and got her in the place of normal Wonder Woman. Coulsonsss wrote: So is Wonder Woman in her ( party? Undercover? ) outfit a Hottopic exclusive or something? I used the GS Layout tonight on a case in Hottopic and got her in the place of normal Wonder Woman. She is just a regular release mini. I think the problem is that they rearrange some locations with the exclusive boxes. Ah. I'm glad I got her either way. But I've still got the other two WW to get now. Here's my Haul!!! I was able to snag a walmart display , Started collecting these minis basically as soon as my gamestop and walmart put them out so I got all the exclusives and normal ones I wanted, except Im missing the normal knightmare batman and walmart knightmare batman, tried to get him twice using the layout and the cases had been messed with I got another normal batman and an alfred instead , Also picked up some BVS pins, armored batman dorb, some of those mighty minis, and of course my legion of collectors box! Tried GS again. Got gold Batman and Clark Kent (the one I wanted). I've had good luck with these even though they weren't in the "right" place. PopGoestheJess wrote: Tried GS again. Got gold Batman and Clark Kent (the one I wanted). I've had good luck with these even though they weren't in the "right" place. Got the complete walmart set today after wavering since sat on whether to buy them at all. So aside from the 12 you get at walmart there are six more right? That sounds correct. I posted a comparison of all the characters that each store exclusives carry versus the normal case on the previous page if you want to confirm. Thanks. Am gonna call the local game stop tomorrow and see if they have a full case. 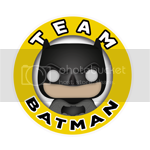 I have one gold Batman left up for grabs if anyone still needs it.